Craving a bite of some rich, grilled delicacies? A Grill Company, located within the Logix City Centre Mall, offers just that. 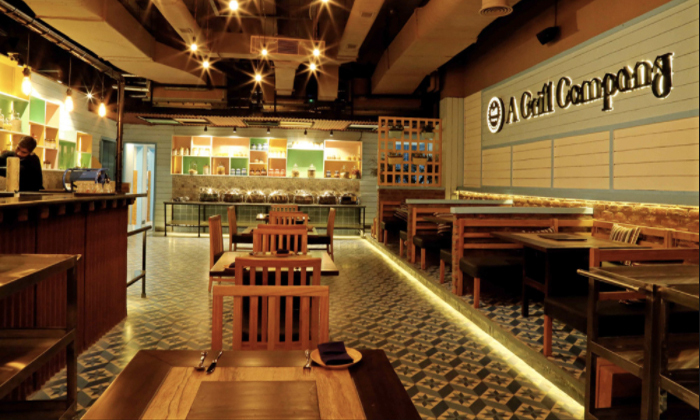 Featuring quirky interiors that bring together the best of contemporary design and old world charm, the restaurant gives of an aura of relaxation and fun. Apart from serving flavoursome, grilled dishes they serve a range of North Indian and Continental dishes with a modern twist. The team of professional chefs prepare innovative dishes using techniques of molecular gastronomy to prepare dishes that are sure to appeal to the discerning foodie. This combined with the efficient service make A Grill Company just the spot to experience a culinary adventure.